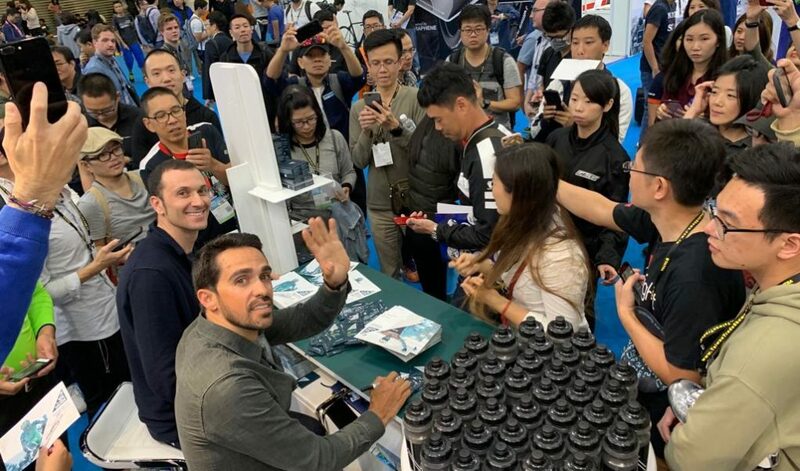 Bend 36 | Taipei International Cycle Show with Alberto Contador and Ivan Basso. 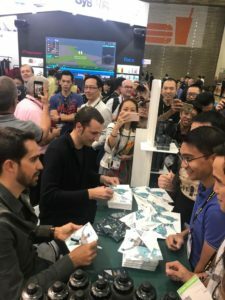 Taipei International Cycle Show with Alberto Contador and Ivan Basso. 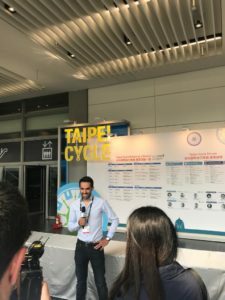 Taipei International Cycle Show is one of the most famous cycles shows in the world with the regular participation of internationally renowned brands. Its comprehensive product line offering “one-stop sourcing” from parts to complete assembled products. Some of the chiefly exhibited products at the show are bicycles, spare parts, frames, wheel parts, cycle repairing equipment, brakes, and batteries. Control and transmission equipment, camping supplies, fabrics, and sports apparels, spectacles, protective devices from Bicycles, Rickshaw & Spares industry. We were so excited to be part of this big event, especially for the signature day we organized on 28th March with our two friends Alberto Contador and Ivan Basso, obtained an excellent response from the public. The event help us to improve our identity with the Asian public, meeting many people and new friends on our road.